This is one of the most powerful processes to activate the reticular activation center within our brain to direct our awareness and perception into looking for “What’s RIGHT”. Once set on its course, the reticular activation hub, directs our thoughts and awareness to start observing, looking and noticing, trying to FIND what it is that you are looking for. So why am I sharing this… because it is the fastest most powerful way to gain a strong heartfelt connection to your heart is through gratitude. Gratitude energy is a catalyst to connect you with abundance energy and by resonating to deep gratitude you are creating a strong energy signal of abundance, causing MORE good to be attached to you. You start seeing more and more SHOW up… what may have been always present, but maybe you didn’t see before… You start seeing the magic of life and all the good around you. You start seeing the FULLNESS of your life, and that BRINGS an even greater sense of gratitude. You start to get connected to ALL that is ‘RIGHT’ in your life… that is WORKING right now!. It truly is the greatest gift you can give yourself, to resonate with the joy of “What’s Right in this moment”. Take some time to think… hum… “What’s RIGHT in this moment?” Notice your connection to your ALIVENESS. You are ALIVE… Aha… feel that. Look around and see what next shows up. You will be amazed at the richness you will experience by doing this simple exercise of playing in the energy of “WHAT’S RIGHT”. I am the exact right temperature even though it is 17 degrees out! That feels really good I am breathing with ease. Thank you for the reminder…I caught myself today going (in my head) to a negative place, stopped, and quickly began to say thank you for that which I am grateful. Among them Mary’s reminder that gratitude works. In awe of how I found you Mary and with tears in my eyes. I was introduced to Jennifer’s Healing with the Masters. I started to listen to the recordings at the beginning and then I went away for a week. On my return I inadvertently marked an email of Jennifer’s as spam and I didn’t want to hear from her again. I had no idea how to undo this. Then yesterday I was clearing my inbox and saw a few of Jennifer’s early emails about the event. I clicked on one but what came up on the site was you, Mary, and John Asaraf. I had never heard of you however I read what Jennifer had written about you and wanted to hear what you had to say. Wow, you were speaking to me (as well as everyone else of course). I listened again this morning because I know we can always hear something different/new on another listening and I’ve googled you. I have, today, even written a blog about loving ourselves before others and saying how much I love what you say and tagged your YouTube video with the rice jars. Blessings & much gratitude Mary for reminding me to stay in my body. I am playing full out with the layers of abundance & now I pull all of myself into my pink bubble before going into the layers. I also am ecstatic over the call with MaryAnn N & the exercise you had her do for her back. OMG, it is helping me so very much. My PT people are not that advanced & what they are doing with me has actually been to much to soon. Your mind exercise for the back & core is outstanding. I’m not sure if this is appropriate to write here but I would like to send my deep love & feelings of the heart with Gail. My mothers passing was 1 year ago Feb 7th. I was fortunate to be her caretaker with the help of her husband my sister & hospice, she passed peacefully at home. Gail if you read this & would like to reach out for support, please do. My heart is with you sister, I know it hurts but I also know where she is going is more beautiful than words can describe. It is like what Anita Moorjani says, I visited myself & am more than willing to share, to listen, be a shoulder or just another relating. Know that we all hold you in love on this beautiful site that we are all so blessed to be a part of. This morning I was gratefully noticing something so simply fundamental and right in every moment. We are who we are, and who we are is perfect. The knowing of our perfection gets all cluttered when we compare ourselves to each other because in those moments we aren’t good enough in just about every way. I don’t mean we go through life with this idea we are ‘perfect’ and so we stick to our ways, stay stuck in untrue beliefs and accept unbeneficial patterns as ‘just being the perfect us’. I mean, who we are is perfect, as in a perfect seed. The blueprint and life of what the seed is to become – is perfect. You and I are that perfect -always have been and always will be. Have you ever considered how much a seed changes from the time it is blanketed and nurtured in Mother Earth until it matures into full expression? In our perfection of who we are, we change that much. More accurately said, we are the perfection and have the free will to choose to change that much in our lifetime. My dad farms wheat, and even now in his late 80’s he still loves farming his wheat fields. I think what he loves most is the miracle of the seed he witnesses every year, the tiny seed that changes into beautiful heads of golden wheat each season. He’s told me when the seed sprouts it will only grow downwards until it is deep enough to reach all the nourishment the plant will need, and then all life begins to grow upward towards the sun…it is the sun that gives life. How many times have you seen a little flower in full bloom that grew through a tiny crack in asphalt? The perfection of the seed changed as it grew. As this seedling sought and reached for the Light of Life nearly everywhere it turned there was something impenetrable to stop its life, and yet this seedling found the crack where the Light had shown through, and it gracefully, quietly became its full expression. I feel so grateful this morning that who I am is perfect, it’s as right as it could ever be and that changing so dramatically from a seed into the process of a maturing plant is as right and perfect as it could ever be. I’m still me, and growing IS changing, changing everything really. Change doesn’t need to scare me because change is me. It’s the nature of perfection to grow changing inside, and then reaching and moving towards the Light of Life expressing outside. In our process of growth and change, we just trust that what makes us feel ‘Light, brilliant, golden and bright’ is the way. And it is. it’s a beautiful quiet day… The kind of quiet in which there is nothing to do and nothing to be and nowhere to go. There is peace in my world while the feeling of opportunity and universal love pour through every ounce of my being. I am grateful for this moment and for the animals that are napping around me. I am grateful for my family that has come to enjoy me… I am grateful for a newfound love in my life that is willing to explore with me… I am grateful for the flow of gifting and receiving… I am grateful for the flow of life energy and for the presence of those who are sharing the energy with others in a way they can receive! Thank you, Mary and all of your staff and all of the amazing members!! Saturday’s call was such a blessing. As a person who has recovered from an eating disorder and body image issues I know how important it is to let go of others opinions and live in the Light of our own Love. After many years of struggle I am able to openly share my pain and triumph with all without the worry of criticism. It is my path to help inspire others. I recognize that the people that are meant to hear our words will resonate with us. When we resonate to Love we are resonating to our own Divine connection to Love and Light within us. Thank you for opening your heart to us all! Tears of Joy!!! Well. Time to say, that’s interesting. (“Simply Noticing”) And moving through it. Mary, I am soooo excited about your anouncement. For all you new members, you are in for a treat! Mary is going to do a NEW 30 Day Challenge!! I hope that this will be as life changing for you as it was for me. And for all the members who haven’t done Amplified Abundance, I paid full price and what I got out of the program was PRICELESS. I have freed myself from countless deep seated limiting self-beliefs. And she’s offering it to you for $30 off. What a great opportunity. WooHoo, I am so excited!! A few months back on a support call with Kim and Veronica, we played in the energy of me getting more students for my dyslexia therapy practice. While I wanted the money more students would bring, I was enjoying my time playing in the energy work I am doing. Last week I was thinking that I was ready for more of a challenge in my work life to use all the tools and practices I am learning. The next day I received a call from the director of a school that needed help with 6 students. The students can be grouped together, and I will be paid for each individual student. My pay will be twice the money I am currently making! The moment I was clear that I wanted it, the students showed up. How cool is that! This is my 1st post and today I found a great pair of Nike shoes at the Nike Outlet store for only $29. Had a great time playing racket ball with my business partner. Had an amazing sunset in Bend OR with 6 snow caped mountains in the sunset. Simply stunning! Had a easy drive from Portland over to Bend and really enjoyed listening to a recording of Adamus St Germain about deliverance for 2012. Was a good day and look forward to some great rest tonight. What’s RIGHT in this Moment… Participating the the Amplified Abundance Course! I am reaching out to you because I want to say thank you for all you have done for me, I was part of a call from Jennifer Mclean..Healing With The Masters and purchased a wonderful package that gave me access to your site and to be part of a 22 days of healing…and WOW is all I could say. I could feel your energies and that of Source like nothing I have ever felt before, I just knew when my whole body was buzzing with energies that you were the real deal. It was an amazing journey of growth and healing, on all levels. I cried, laughed, and learned much about myself over the summer. I recognized today even more fully how Perfect everything is and the power of Focus on The Truth of that. I gave my critical/analytical mind permission to retire and thanked it for its service. I let it know I will call it if I need it but I didn’t need it to comb over every moment finding ways to “make things better, be better, do better”. That we can just ENJOY how Perfect LIFE IS NOW.I became very AWARE that all that Just Loving and Appreciating is really enough.That even if it is not in my physical experience NOW that LOVING and APPRECIATING it is NOW will call it forward into Manifestation. Absolutely everything! Gratitude, happiness, joy and a heart full of love and light! Overwhelmed by the beauty and abundance that surrounds me ! I’m living in this new discovery of playing in the energies all of the time for the last two months and it is changing everything. I love the calls and programs Mary offers. And each of you on the line sharing your process in this vibrant community gives me so much understanding. Mary, Veronica, Kim, Debbie Lyn and Deb, deepest love and gratitude and my heart thanks you, thanks you, thanks you… all! Whats right in the moment is the lovely weekend ahead of me to be spent with my mother and best friend in the beautiful countryside of Donegal in Ireland, I am so blessed to be able to spend this quality time with them both. Also another pay cheque this month, when there was thought there would be none…brilliant!! My home is full of Love and my relationship with my family has never been better! I love my life and I am truly getting better at seeing what is right in the moment. Thank you so much Mary for sharing the energy with me to do so, I will pay it forward. The ability to share is so wonderful!! I’m really appreciative to have found you Mary. Your voice carries such an energy of joy, that it makes it really easy to lock into and know what it is sounds like to experience joy. What is RIGHT in this Moment is that I “GOT” feeling WORTHY!!!! And I am Playing with it! I have never felt this way, that I can remember, and it FEELS soooo GOOD! I Deserve it! Thank you Mary and Jennifer! Can’t wait for the coaching call tomorrow! Things are getting better for me by the second. I am WAY grateful for that. No kidding! What is right in the moment is that I am so full of gratitude and profound love for Deborah Fox. 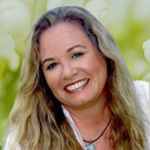 (Support Circle Team Member in AbundanceAlive.com community) She is such a gift……she has a heart of gold, and the ability to see right into my soul…..I am being healed minute by minute because of the work we are doing together……yay for deborah and yay for me having found her! Just want to share something amazing that happened to me this morning (it’s 4:33 AM here in South Africa). When I went to bed at 1 AM this morning I felt a great weight on my heart. I have been feeling it on and off for about a month now. It feels like someone is squeezing my heart. So, while feeling this, I remembered Mary talking about how immediate healing was possible and I decided to play in the energy of love and compassion for my beautiful heart. An image of smurfs popped into my head and they were all hugging and the feeling was magnificent. I felt this for about 3 minutes. Then I decided to sleep but immediately afterwards I began to shake like I had a fever. I have never shook so much in my life. So I have been lying awake for 3 hours. It is winter here and it is supposed to snow somewhere today. I recalled something earlier:my mom that she couldn’t believe that I was sitting in my pajama’s which aren’t very warm (as a side note, I have always had warm blood. Also, whenever I thought that this was an untrue statement the shaking stopped.) I then noticed while she was speaking that I started to shake a bit weirdly but though nothing of it. Back to this morning, after lying for 3 hours and not sleeping well, not being able to get any medicine for the fever (I was very hot and my heart was beating really hard) I decided to change it: I accessed my knowing and the energy that we all share as this God energy. I then brought forth the healing that we all have as part of the divine, the perfection of God and healed myself. That very instant I was no longer shaking and I had the most magnificent calm come over me. The heat left my body and I knew that I was God energy without any doubt. I just went straight into thanksgiving and gratitude which just brings tears to my eyes. I had dressed warm after I started shaking and had the urge to take all the warm stuff off as I don’t usually sleep with them on. I now have no need for them. About 5 minutes later my heart is beating normally. I AM GRATITUDE for all that we share in this divine energy. I am grateful that I can share this beautiful awesome experience we share called life. To know that I am connected to God energy without a shadow of a doubt is breath taking. Words fail to convey the gratitude that I have for Mary and ALL of you. What is right in this moment? Everything!! For the first time since I can remember I feel so connected to spirit and it feels wonderful, in fact it feels beyond wonderful. I feel so much love and joy. Thank you so much Mary, this is only the second day of the 22 days of healing and I already feel so abundant and like so much healing has already taken place. I am in complete awe at what I am experiencing and am so grateful that this is only just the beginning of what feels like a most magnificent and healing journey. What an awesome healing we just received this June 15th, 2011. Of all the years that I have received energy work, this was fantastically unique and potent. I feel so well and so connected to Source. There’s just too many words to say about it and I feel like what I experienced was so profound that I don’t have the words to describe it. How beautiful, I am so grateful. I feel energized and calm at the same time. WONDERFUL ! Thank you, thank you for assisting the connection to the energy of the receiving of Beloved’s love today. My heart opened so wide at that moment, I could feel the waves of Love vibrating throughout the universe. It is beautiful to feel that. I will be forever grateful. I know that the focus on the body in our recent healings has opened up this space of possibility for me. I had no idea what I was missing! My body feels alive and awake in a way that is brand new for me. I feel like I’ve been walking around completely unaware of the treasures inside. Thank you Mary! Love to you and everyone! It is Saturday May 21 and I just finished listening to the live prayer and the whole communion that it was with all of our bodies and the bodies of all surrounding creatures sentient and not. I tried an experiment so that I could listen while in my back yard and put the computer on a speaker while I floated in some near by water, the horse who lives in the neighboring yard gave several whole hearted endorsements by blowing air thru his lips and vibrating to a level of deep satisfaction while he was enjoying natures full bounty of fresh grass and listening to Mary’s sighs, the birds are chirping an occasional bell chimes in the wind and a warm tropical wisp brushes thru the palms what a blessing our dear lord has given us, what a blessing you are to midwife us back to our spirit home and realize that heaven is here for us now. We have choice and we are free. remembering that line from “hotel california” ‘this could be heaven or this could be hell’ for us we are remembering how it can be heaven. Thank you Mary A Hall ! What is right in this moment for me is my refund for income tax arrived when I needed it. My family is flying me home next month for a few days. The lady who does healing sessions on me didn’t charge me for the last one. The receptionist at the chiropractic office recommended a treatment for one of my aliments. I have been getting into that heart space as I am drifting off to sleep at night and say affirmations in my mind dealing with abundance. It has helped me a great deal. I don’t beat up on myself quite as much. One of the affirmations I use is : Unlimited abundance flows to me now and always. Thank you for all the great work you do Mary. I am sitting in my house, in the town I really like, I have a school to go, professor I really like, very nice students around me, I have a laptop and the internet, I have money to pay for my bills. I feel good!! I am listening to Mary’s healing calls… I am happy I am alive! Just an hour ago, by reading a few pages of the book “The Secret”, I started immediately feeling – all is possible and began to feel good!!! Thoughts of worrying are in my head, but I still feel good! Let us all keep this good feeling inside as much as we can! Thank you ! Thank you for all the blessings you are giving, Mary, in their many forms. This current course is so beautiful and I so appreciate its high energies. Blessings. Blessings on you and the whole community. The sun is shining and I am so appreciative to be connected to Mary Hall and her 22 days of Abundance Healing :). What’s right for me right now. My body systems are working perfectly and I feel healthy and strong. Also, there is peace and quite around me. I can just sit here and just be, all day, if I choose too. Wow! I am thankful. Thank you all so very super extra ultra much!!! I often become swept into the river of what is not…thank you for reminding me of the art of gratitude. My gratitude is with my heart for remembering to breath quietly while I do less. In this place I notice that there is room to feel love, notice beauty, smile at a stranger with a sense of authenticity. Surprisingly, it brings me to tears in this moment. I appreciate coming home to my heart and practicing leading the next moment in this kind of space. In this space is where Spirit resides and there is nothing better than touching base and playing here. ahhh…. I have money for food, medicine, healing, this membership, and everything I need for me & my animals. I am starting a new energy healing business, and I’m so excited to start helping others by doing God’s work. I am completely blessed in everything I am and everything I do. God is taking care of me and supporting me in every way. Thank you, Thank you, Thank you God! What’s right for me right now is that it’s the afternoon of a magnificent spring day. There is baby green everywhere, buds and grass and leaves. This is my first spring in this beautiful home, with east-west aligned windows capturing sunrises and sunsets; a creek outside my office window; and woods around three sides. Animal totems show up at different times with their special and unique messages: deer, ducks, many other birds, including blue heron, many crows/ravens and the biggest woodpecker I’ve ever seen. During today’s Divine Inspiration call, an Otter climbed out of the creek and looked right at me. Animals often show up when I’m on a call. For my benefit: for those on the call with me? For all? The creek itself speaks to parts of me far deeper than its waters… sometimes clear calm and mirroring the sky, other times angry and muddy and swollen, always flowing, always moving to the Bay and then the Lake and the River and the Ocean, connecting my spirit as it flows and flows to the entire Planet. I like where I am at in my life now, I like where I am going, I like my spirit, I like feeling connected to my spirit, I like my body, I like moving & shaking my body, I like energizing & strengthening my body, I like knowing all is good, its all good. I like being me, I like feeling tuned into & tapped into source, I like having lots of money, I like allowing prosperity & abundance into my life, I like all the money that I have right now, I like being thankful to all the money in my life and bank accounts right now. I like giving and receiving from the Universe. I like feeling inspired, feeling joy, experiencing laughter. I like having fun, fun, fun. I like singing, toning, chanting, dancing. I like feeling content, I like feeling Joy & Happiness. I like feeling blessed. I like feeling thankful & gratitude. I like feeling loved and cherished now. I like knowing and feeling that I am already whole & complete just the way I am. I like being in happy, healthy relationships with all beings. I like being & feeling connected with my Angels & Spirit Guides. I like being thankful for my family, friends, and all in my life. I like living and being on my life path & purpose now. I like noticing what’s right in this moment of now. I like being connected & thankful, & blessed by & to this online healing community with Coach Mary, Suzanne, Veronica, Kim, Elizabeth, Jennifer, Debbie Lyn, Debra and all the other beings & ladies on here now. Love You, Bless You, Thank You. I am so grateful that a space of time has opened up for me today and I have the whole afternoon to be alone and listen to the Accessing Divine Inspiration call from yesterday and to steep myself in this wonderful material. It is a beautiful sunny day here in Vienna and I have tucked my trusty mp3 player into my pocket, put my notebook into my backpack and am on my way down to the Danueb river to sit in the sun and listen to the call. This video is definitely right in this moment. I’d encourage watching the 20 minutes of part one. this is url for part one and there is a link to get the other parts. The other day I read something which suggested that if you aren’t manifesting what you desire, changing the way you handle ‘disappointment’ could make all the difference. This stood out to me and I knew that I could try something new. Later that day I found out that something hadn’t gone according to my plan. At first I started to think that maybe I wasn’t focussed enough, or perhaps I could have done more visualizing. Whatever I thought was all stemming from me assuming I was doing something wrong, and that Life was not cooperating either. Suddenly I stopped that train of thought in its tracks and wondered “What if I truly believed that this was happening for my benefit?” I understood this concept before but I never really applied it, or felt it. This time I let Life have the benefit of the doubt and I really felt that something better truly was on its way. I left it up to Spirit and I went about enjoying my day. Immediately I felt blissful and began singing along with the radio in my car at the top of my lungs, and having a brilliant day. In the past I would have sulked and gone into a spiral. Two hours later I got a call saying that everything had worked out even better than I could have imagined, and I thoroughly enjoyed the rest of my day! I just read the article “What is right in this moment”. It started to make me think at this moment of what is right in this moment right now. I realize that I have a roof over my head, food to eat, good health overall, good friends, a loving church to go to, this abundance live web page to find support through listening to the calls. What’s right in this moment is that I feel completely supported during a time that appears to be filled with new opportunities! Help shows up in new ways that I have never experienced! I am so very grateful! This is a new way of being! I just read Mary’s description of the healing and prayer support call for Japan tonight and began to cry. I feel so blessed by all the support we are receiving. I know that the more balanced I am, the more able I am to support others as well. When I feel aligned I can shine light and love through me out to the rest of the world, and this is a wonderful feeling. Thank you Mary and everyone here! High days, Jennifer, exist to remind you of how fast you rebound… among other things. Needless to say, it arrived on a day that I thought I’d lost the plot, and its true – I am rebounding much faster. Absolutely agree – love and support to Japan, and the folks in Libya. What’s right in this moment? Just relistened to the very first call before the 30 day even started. Full of juicy stuff and wonderful reminders!!!!! thank you again Mary and callers. Also, I heard someone say that in his family, every day they say to each other ‘[name], what I appreciate most about you today is….. I thought this was such a fabulous thing to say to myself each day. And I’d NEVER have considered doing that, at least not for more than a nanosecond, before the 30 day. Yesterday I was at the gym [3rd day in a row ~ it’s a record!] and I was on the treadmill. As I walked, instead of letting my mind wander to worries as I would have done in the past, I went through my heart thoughts and played in the energy of what I desire. As I felt everything as though it were happening right now, I started beaming. And as I started to beam I watched my heart rate on the screen in front of me going up :))) It was so lovely to see how happy my heart gets when I’m happy! I seem to be on a rollercoaster and today is one of the great days. I was away for the last 2 weeks of the 30 day challenge and I had so my anxiety and regret that I was going to miss my chance of asking my questions and being there live. Today I listened to day 19 and I now really get that everything is in perfect timing. So far everyone has ask any question I could possibly have asked and I feel so supported that how things are is just as they should be. Thank you to all the wonderful people on the call for being there for all of us. This 30 day challenge has changed my vibration more than any other practice I have ever done and I have done them all. Thank you Mary,Veronica, Kim who has helped me personally and everyone in this community. All is really well OMG how great is that!!!! Just reading the entries about what’s right in this moment for everyone here is what’s right for me in this moment! It’s so beautiful to witness the changes in everyone, and I’m very grateful for this program as the answer to my prayers. This goes so far over and above what I was praying for actually. Thank you Mary and everyone who is supporting us! I wrote to Deborah the other day to let her know that I have listened back again to the session she did with me on a recent Support Circle call, and to thank her again. Tapping through my recorded session and with those of the other callers, whose willingness to play full out meant so much to me, has been really helpful. This weekend was somewhat challenging and Deborah’s session took me completely out of the judgment about it and had me feeling on top of the world again! With radiant love and light! I am so grateful to finally have moments where I LOVE BEING ME. This is such a new experience for me which I believe is the result of the 30 day abundance challenge and my daily practice of resonating to love, reprogramming my subconscious to I am safe, I have choice, I am free, all is possible, I am worthy to have good things come into my life. My recent trip to Thailand has allowed me to relax and reconnect so in this moment I feel better than ever, I notice this joy and I appreciate it so much. Thank you Mary for all you give to us. I love getting my daily note from the Universe. I took a morning coffee outside and sat with the plants and trees saying thank you for everything – beautiful garden, beautiful place to live, fabulous neighbours, beautiful soft weather here as we leave the summer heat, the first hot air balloons of the season, and of course thank you for this beautiful program that unfolded so amazingly. It has enabled me to be grateful to be alive. Just listening to today’s call and can relate to caller talking about credit card debt. I was aware after last nights call that I was very grateful to the credits card companies that have allowed me to develop my consciousness and awareness with their help – I have been playing with ‘wouldn’t it be nice …’ to be in truth, able to be grateful to the finance industry for providing that for me. ‘Wouldn’t it be nice’ to earn enough money to pay that back and have even greater freedom. Judgement has been an obstacle for me… but feel I am breaking free from this. Thank you for the most sublime Valentine’s Day of my life. This morning I somehow stumbled upon the following song – Dance of the Blessed Spirits – and sent it to my friends as a valentine. OMG! This is the most lovingly perfect Valentine’s Day ever! Mary, I’m so glad that I got to make it to the call tonight live. How absolutely BEAUTIFUL! I truly feel in my heart and deepest parts of my being that TODAY IS the day that I got to marry myself and that I am fully committed to remain connected to the Divine and to continuously partner in LOVE with myself! The beautiful sacred space that you so authentically hold for each of us is the perfect model of how I am committed to love, support, forgive, have compassion to myself wholeheartedly. I am continuing to breath in the sacredness of LOVE that is here. Probably most profound of all, when I am tired, weary, upset, I get to understand and treat myself with unconditional love, compassion, and tenderness. YES! I want to always remain partnered with and love myself. So Beautiful! Thank you! I love you and am so honored to have you in my life! I had a beautiful time with Kim Coleman in our session last Thursday! Seems my Being wanted to do Whole Body Focusing instead of EFT, which turned out to be perfect, of course. I began believing that I wouldn’t be very good at following my body responses and giving voice to them; turns out I was very good at it, actually… so certainly if I can do this, then any of you can! This was a such gentle process that involved me listening deeply to the messages of my body and emotions and Being related to the concerns I’d brought to the session… probably for the first time in quite this way. My insights from this session belong to me now, and I have been living them for the past few days. Thank you so very much, Kim! I want to encourage any and all of you to take advantage of these deep healing sessions with Kim and the others in our support circle. What’s right for me in this moment is that I had an Aha during the call last night. As Mary has been speaking about embracing our humanness, I began to realize that not only did I find being human [ie. less than perfect] unacceptable, but I’ve never actually wanted to be ‘a human’. I’ve only ever wanted to focus on spirit and I very much rejected my body. So to embrace my humanness, for me, would mean embracing being human AND embracing being a human! From there I started thinking what a relief it would be to actually allow myself to make mistakes, even the ones that I thought were unforgivable, and love myself anyway. What a relief it would be to not have so many rules for myself and others. And what a complete relief it would be to accept what is, instead of arguing with reality! Now that’s how I spell relief! LOL…. 41 years in the making! I’m finally here, and I am very grateful to be here. My love to all and an extra big thanks to those who shared over the last few days especially. You have helped me so much and I’m sure it has been the same for the rest of the group. Thank You to all you courageous community members that share your aha’s and deep feelings, I feel support and love,thank You.. Thank u Mary for clarifying that you can feel GREAT for awhile and then go FLAT… now i get that its all happening perfectly… and not worrying that i did something ‘wrong’…or didnt do enough of something… or ??? I’m feeling stronger and better everyday…acknowledging the ‘dips’ along the way. I feel like I have arrived at the promised land. Ever since I was a young child, due to the loss of a parent, I took on a very serious, adult role. Now, thanks to all your service, I’ve been given back the one thing my soul has always yearned for, PLAY. For me, this is my heart’s desire . . . and the incubating womb from which everything else can come. If we only exist in this eternal present, this nirvana– in a childlike state of play and wonder— we are back in the Garden of Eden. I feel fully whole, restored to my rightful place in the universe. I no longer have to parent myself, the universe can cradle my being and take care of me. I am safe. Mary, Veronica, Kim thank you so much for being true to your own journeys. The change you have prompted in me is beyond words. Every person who stepped forward with their stumble or triumph has added to my sense that this new world is here to stay. Thank you all so, so much. My EFT session with Deborah opened the door to a beautiful expansion of being that I am now experiencing. Thank you Deborah for passionately opening the ears of your heart and the heart of your voice to facilitate healing for others. I am grateful for the powerful healing resources held in the healing space that Mary has opened for all of us. Half way through Mary’s 30-day challenge, my world is already so different. Peace and laughter are easily present and those around me are experiencing their own opening space for healings in their own way. “I am free, I have choice and so on..” resonate so differently after only 2 weeks. They are accompanied by a beautiful expanded feeling as I say them in different parts of my body and through different chakras. Yay! Since beginning this program I’ve attracted 3 new clients, and re-attracted a former client! I also found the perfect office space for a perfect price, moments after I put out the request to a networking group. I’m uncovering so much light within me. My house feels so different now! I have been throwing out old stuff, cleaning and rearranging, so I am really happy to be at home now!! I feel I am changing! I feel my life is changing! I see more and more what made me feel stuck and I can now shift my thinking and my actions!! Woohoo!! Life is beautiful, I am really greateful for this amazing community! Love to all of you!! !And gratitude to Mary for creating this circle of love. What’s right is that I just got back from bringing my daughter to school, navigating mountains of hard snow and ice. I felt calm, happy and blessed to enjoy my daughter’s company in my warm car, with my heated seats, sturdy tires, and clear windshield. This has been such an AMAZING and transformational experience! My ability to manifest has been INCREDIBLE!!! I had just been thinking about music together with power thoughts and power affirmations when someone showed up BIG on last night’s call and recommended Bukeka. I checked her out and am so delighted with this music I bought her CD! Thank you caller 😉 Thank you Mary, Veronica, Kim, Deborah, Jennifer and this entire loving community for helping me learn and grow! I can’t believe all the wonderful, amazing, COOL things that show up fun and sparkling every single day! I can see deliberate manifesting on a daily basis and I’m keeping a manifesting book to write it down and notice it and CELEBRATE it! It just SHOWS UP!!! I can hardly believe how JUICY and WONDERFUL life can be!!! WOO~HOOOOO!!! I am writing to thank you for the incredible gift of Kim Coleman. As a result of an “Ask Mary”, I had an amazing “focusing” and energy healing session with Kim! Thank you, Thank you, I am SOOO GRATEFUL! What’s right in this moment is that as I listened to last nights call, I noticed many of my ancient subconscious limiting beliefs coming up. They’ve been surfacing during the past few days. This time as I noticed them, instead of believing them, I wrote them all down. Then I transformed each statement into a true positive statement. There is so much power and truth in these new, transformed statements. They are SO much more true than the beliefs I was telling myself. Just this noticing, and then taking action, really made a profoundly empowered shift. Thank you Kim and Veronica! I am so grateful I actually raised my hand and asked a question tonight. I have been listening when I can. On the call tonight as I spoke Veronica mentioned fear. I noticed and observed that I was asking permission and approval for enjoying the snow day today which I questioned when I saw Facebook people and radio complaining about the snowy weather. When I questioned I feel the feelings I want to experience etc Veronica mentioned fear and now before bed I realize I fear going for success because I am still seeking approval. This is making sense because I don’t raise much for the calls because of that. Just noticing this energy is a great step. Thank you. What is right for me in this moment is the incredible abundance of support we are receiving through this journey! Today I had the most powerful and transformational session with Kim, and I am very grateful for everything she was able to help me with! Thank you Kim for being so generous with your time and energy, and for making this experience such a delight! And thank you to Mary, Veronica, Deborah, Jennifer and everyone else in the entire group for all your support and love! With lots & lots of love! WOW, thank you Kim and Veronia, you are simply AWESOME! You are connecting many dots for me with Mary’s incredible teachings! Thank you sooooo much! I really appreciated today’s topic as well, I wanted to raise my hand but I have a VERY BAD cold, and sound horrible! So, please know that everything that you brought up were things that have been rolling around in my head too! I have tried EFT in the past and it has not worked for me either and I am one of those who thinks I can just work things out on my own!!! But this issue is just toooo BIG! I also loved that you shared that EFT has evolved and the idea that “getting rid of something” just is not the right approach. Thanks for that missing link! I also struggled with the financial aspects, receiving, I’m not good at that either, always loved to share with others what I have but not good at accepting gifts from others, even compliments! I normally could afford a session, but things are really difficult right now, house not yet sold, double everything since I have moved to smaller place. Been almost a year and it is taking it’s toll. It’s very embarrassing to be in this tight spot and somewhere along my life, I was told that receiving something like this would be “taking advantage”!! Gosh, I think I hear my Mom’s voice there! Anyway, after your kind words of sharing, I really would appreciate the “gift” of a session, adding more debt right now, even that amount seems scary. I know this has to end soon and I will be back in a more prosperous position, but right now “receiving” this would be such a GREAT blessings. Thank you for helping me say “yes”! I love the comment about only “breathing out” would not work too well, how awesome, what an “ah, ha” that was!!! Thank you, thank you for helping me to receive, and I am sooooooo grateful! This is a major shift in my life. I love community and the idea of sharing what we can do best with others! What’s right in this moment is the way I feel after listening to yesterday’s abundance call. The heart meditation brought such gratitude for my heart and all she has done for me throughout the many years. Such a nice release and honoring for my heart — she successfully called me back home. And, I am home. Now its time to rejoice and play. I am sharing again, not necessarily an AHA, but still good. I have had many ups and downs lately as I am clearing and my vibration increases. My mind has become much quieter and I really mean it when I use the, “I am free, I am choice, All is possible….ahhhhhhh, I am SO worthy of all good things in my life. Now comes I am happy, I am peace and for some unknown reason, I am hope keeps coming up. I am able to notice when thoughts long buried come up and I can say Wow, look at that! and let it go. Thank you so much Mary and everyone else here! What is right in this moment is that there are so many people on our planet that are good and want help there fellow human discover their own goodness. What is right is that so many have shown up here to do this and that this community is welling up and forming for the purpose of sharing love and being there for one another. The energy network is fantastic and it is validating for those of us who weave the invisible web to know that their are many members there playing too and we are not alone. Thank you to all and to each and every one. Thank you Mary and Jennifer. Hope is our guardian genius. The energy feels SO different in my house for the last week or so. I am filled with gratitude for the shifts that have happened in this 30 day challenge. I am listening/feeling with different sensors, so I can play back to others what it is they actually need in the moment. And when the negativity bubbles up here or there, I can step back and notice what is right in this moment. I just came in from outside, 8inches and my 2 neighbors helped me shovel, this has never happened. I keep feeling love, appreciating and will do so even more. Still have voices, singing, thoughts, dreams am letting go, no worries I’m so grateful. What’s right in this moment? The loving Man on my couch. He reminds me of the value of resonating with love. And one more, even those I still feel how much fear remains in my body and my dis-ease speaks to me but I feel how much love is already awaken within!So much joy that I can experience right now! Oh, I feel there is so much RIGHTS in this moment!! !I just dont know what to start with!!! Well, I am sitting in my lovely house, which is small but perfectly good and comfortable for me. I am using this new computer and a have a wi-fi internet which is very convenient! I have a beautiful orange flower next to me, I bought it in a flower shop a vew days ago, and this is the first time I went there. My studies are fine and I have ideas for the new paper and I am looking forward to the actual process of the paper I am going to write yay! I am excited that I have joined this abundance program, I feel it is such a great investment into myself! I feel that love energy is here for all of us but we have to learn how to be in it! All of this amazing work lead me to do a couple of things today that felt really good… one included validating everyone’s posts on facebook that I was inspired by today. And sending out little love notes to people. Then later in the day I came across this great little short film and I was inspired to share with you all! Thank you so much for being part of this amazing journey with me!! Blessings to you all!! my aha on today’s call (22nd): as Mary said to a caller this is where you can play full out, I suddenly got, I can play full out in any of my issues. Can’t quite express the feeling but it was as tho I’d been separate from my stuff not playing with it, maybe rather observing. Anyway, inside it felt like a great realisation. The a ha’s keep coming. I called the other day to say how grateful I am that Mary brought to our awareness the concept of the energy of frustration and that I realized how I pretty much lived in it most of the time. I had another a ha last night with the caller who said that she knew she loved her mother because she worried about her. Not that I worry so much, but my family sure does and the lightbulb over my head went on – they all equate worry with love! And I realized this goes beyond just my own family it’s really a cultural thing. I come from a Jewish background, and jewish parents and grandparents often say “I worry about you” rather than “I love you”. And now i got to notice that. Had an AMAZING SYNCHRONISTIC event show up today! It was SOURCE at PLAY for sure! I AM so Blessed. What’s right is that this powerful, loving healing space is in my life and I finally have words to share. A few days ago, while doing our 30-day morning practice of resonating to love, I experienced a deep love and appreciation for MYSELF and the loving being that I am. How amazing and wonderful. As a result of the ‘birth’ healing call, I’ve reconnected with my inner optimistic sunshine, on this beautiful sunny, snowy day in NJ. I’m ready for fun! If that isn’t resonating to love, I don’t know what is! What’s right right now for me is that after being convinced my heart, which has been walled off and shut down in the past, then revived several years ago through a very intense, amazing emotional release process, then shut down again … well, through the 30 day challenge and Mary’s heart connection work, my heart has come back from being a little black lump of tar in my chest to a bright, sparkling and ALIVE heart. Doesn’t get much better than that!! I have been resonating to love using a brand new red cannister vacume that I adore. This little machine delights me to no end and from this place I launch into my other affirmations. Yesterday, I had a long car drive and suddenly a very cute set of yellow bleachers hit me in the same crazy manner, and then a beautiful green John Deer tractor and then on and on from one silly devise to another. Suddenly my drive became a bingo game showing me zillions of things that delight me . . .
From this I finally realized that abundance is a radio frequency that truly does come from inside. It is always on, but you have to tune into it. What’s right in this moment….ah let me count the ways. I just got back from a romantic walk in snowy woods with my husband of 22 years. My teenage daughter is happy listening to music & CLEANING her room! My almost-20-year old daughter is having fun with one of her best friends, who she’s known since nursery school. And I’m in my beautiful new home office, my girl cave, in my comfortable chair, in front of my newish laptop computer, about to watch the video recording of today’s service at The Agape Spiritual Center. And I am safe having it all! I couldn’t begin to describe the jaunty, silly little tune but the last line can be very awkwardly stuffed into the melody of the extra line that is sometimes used at the end of the Happy Birthday song which is “And many more…” It’s fun to be goofy and I believe that ‘music’ and lightness take our positive thoughts easily and deeply into the subconscious. Thank you so much, Mary and everyone else! As usual, I’m looking forward to today’s call. This place is right – and so right for so many of us to enter into healing that will expand our spirits and our ability to continue passing the healing on. What’s right is my voice, and my ability to express myself through words. What’s right is today, and the chance to grow and learn more about myself and this transformation human experience. What’s right is the promise of love and friendship that each new day brings. I was a 10 today! I woke up this morning after 9 days of Connecting with Love, with Source, and everything else, feeling very very happy and, well, connected! Abundance today came in the form of having signed up for an intuitive painting class… and actually getting to paint the Sparkly FEELING of this connection. And I fell in love with every single piece of this painting! I was in awe as I created it, and admired the colors and the shapes and the sparkly’s and everything about it. This painting, and the memory I have of being so present in the painting of it, is now an anchor. I love knowing that I have the CHOICE to go here whenever I want to shift my feeling to something that FEELS a whole lot better. I’m still in that feeling, of course, after our class today. I look forward to noticing how I live more and more in this place each and every day… for 24 more calls, and beyond! Thank you, Mary for the daily reminders of the love in my heart. After many years of deep heart opening meditations, I have become increasingly grateful for my body’s and heart’s response to the trauma of losing my sister to suicide when I was a teen. This morning I hit the jackpot of love. In meditation I saw and felt so clearly that even my resistance to love is LOVE. It was in complete love that I walled off my heart to protect it for so many years. I waited, devotedly, for this time of safety, in order to set my heart free. In that moment, I was able to love and appreciate all of my stubborn resistance to love. It is all Love. And, by loving my resistance and all of its expressions, I have shifted to allowing my heart to send and receive love in a new joyful way. Layers and layers of self-love and universal love, opening as me. Hi, Mary. Thank you for offering this program. I am just getting started but already there seems to be a shift in the flow of abundance around me..more clients, more interest in my work, and more sense of possibility than I’ve had (just coming out of a dark night/depression period with my work seeming to ebb away). Checks I’ve been waiting for all arrived today…things are getting unstuck. Bring it on, Universe! The joy in my heart right now as I just managed to apply Mary’s forgive and let go of the thought with my daughter and feel free of the intense emotion I usually am left with when blamed or judged by a very dear loved one. Instead I am left loving me and her! Filled with gratitude now for how right this joy feels. That I have a home that is paid for. I am warm and feel loved. My relationship with my family. i asked the question “what’s right in this moment” and as I turned my head from the computer, ther it was, a sparkling evening sunshine glimmering thru the gum trees outside my window, a sense of magic and peace flowing in with it….all is bright and life is good …the power of nature when I look! What’s right in this moment I can taste ice cream mmmm and when I noticed a odd feeling when I came home I saw I had written down How cool is that…brings me back to feeling good. What’s right? A warm, cozy home on a cold winter’s night. The love from my family and the love I feel for them. My Creator’s love for me, and my desire/ability to contribute and serve the earth family as a whole. My connection to my spiritual family both in and out of body. My ability to know myself in the present moment, to allow the present moment of now to be my reality. To be able to let go, to expand my ability to surrender the illusion of control and enjoy life in the flow of universal love. To be able to communicate clearly and work through barriers and blocks to experiencing harmony and divine order. To live each day in an ever-expanding attitude of trust and surrender. To be guided into supportive environments where I can learn and grow, let go of out-grown limiting beliefs and heal into new patterns of abundance, joy, creativity, love and light. To know myself as light embodied and to be forming relationships with people all over the planet who share this realization and the desire to transform the quality of life on the planet for all. I am grateful for the good health of my family members, especially my mom, daughter, grandson and sweetheart and my own vitality, health and wellbeing. I’m grateful for Mary and her wonderful work as a healer and a teacher, for her connection to her guides and her willingness to share this with us. Ok this morning I woke up and did the tuning into my heart feeling love for my son and him loving me and allowing that to flow out into my body and the most amazing thing happenned I felt love for MYSELF…OMG I then went on to say and feel I have choice and I am free. Not sure what order all this went in but was fabulous. I then got invited to go to a yoga class with Rodney Yee and I was able to feel love for myself emanting out to everyone there. BUT then I came home and got sacared. So I said ok this is what is showing up to prevent me from feeling love for myself and others. Thank you Mary for the beatiful call tonight re the 30 day Challenge. I’m so glad that I signed up, it is truly the right time and place for me and for so many others for sure!! I listened to the 9 minute excerpt after the call and during it,I heard myself say “I won the jackpot!” And that is exactly how I feel. I am soooo grateful for this wondrous Christmas Morning Moment as I gaze out my window watching my very first White Christmas in action! Last year my neighbors planted their living Christmas tree in their yard directly opposite my computer desk, and I was overcome with gratitude for that beautiful blessing. Now each new day my heart leaps with joy at the sight of that tree. This morning “our” tree is flocked with snow, and our yards join in “oneness” cuddled cozy and warm beneath their snowy blanket. I am blessed with the Majesty and Magic of this Sacred Season, and most grateful for this community of beautiful abundant new friends. so-powerful and yet so gentle..I released the fear and anger toward my father and sensed his heart was joyiusly waiting for this moment to occur, I also wanted to release holding in place; old shackle’s of hardness of heart.. Melting away as the springtime thaw, it’s a great day in paradise through the love flowing from this community of Pure Love Ray’s.. Thank you Mary for prepping us for the upcoming 30 Day Challenge. I’m so looking forward to it and will listen again to the December 16th call before it begins. The day before the prep call, I happened to buy some free weights so I was amused when I heard you talk about the love muscle, the gratitude muscle,the abundance muscle,etc.,etc. I guess I must be preparing on all levels. Many blessing to you and the community! I am very grateful to be connecting with this community again, My brother died on the night of December 4th and I have been away from this site until tonight. Last week I had a powerful experience of God’s Presence and the opportunity to see the fullness of My brother’s presence through his life story. The celebration of his life on Saturday, December 11, was awesome, just full of Presence! I am very grateful to have this community to support a sense of continued Presence! Thank you for all that you give! You women were so hot today!!! I was soo lucky to be on the live call. The energy was so exquisitely clear and palpable. It was very strong and simply gorgeous. I immediately teared up as Mary realized what had been going on at one point – it was that all of our hearts were beating as one! My heart is open and you’ve made my already good day. Thank you so much Mary,Kim,and Veronica! I am grateful for having this wonderful opportunity to learn so much from Mary. I have been listening to many recorded shows with Mary.I am so grateful the universe connected me with her. Over the last few months I have been working with appreciation of what is good in my life and I came up against some beliefs that if I focus my attention on the things in my life I like and appreciate them they will be take from me. So I stared to examine this belief. Even though I don’t have a complete release on this I have made huge progress . Recently I noticed I am so much more relaxed appreciating the sun, fresh air, when I live, the person I live with, my body and this is great for me because it feels so good. I spend 10 minutes most mornings writing a list of things and people I love in my life. This sets such a nice tone for the day. Posted by Nikki: I’m alive!! It’s god’s gift to me! Today in my morning meditation I felt love caress my heart and flow through my being. I have been doing the meditations (heart thoughts and others) day and night and wasn’t really feeling the embodiment of love. Today was a blessed day! It was as if the cloud over my heart gently blew away and the love that has always filled my heart emerged in this beautiful radiant light and warmth. I am so grateful to Mary and this community which holds the space for us to grow and shine even when we may feel we don’t know how. All I can say is a huge heart felt Thank you and hang in there. It is SO worth it. I am really grateful for you, Mary, setting up this community, and I’m looking forward to being with all of you on the calls. I am SO ready for this work and very excited. I am listening again to the first call, and I totally relate to the caller who was talking about going into fear. The more I work on resonating to love… I find every now and then, I go into total fear and anxiety. And I know it’s just those parts of me that aren’t used to being in that energy. It’s hard in that moment, but if I keep focusing on what’s right and feeling gratitude, I move through it so much faster. And I’m really looking forward to all the wonderful practical tips that will help me transform my life. I am truly grateful to be a part of this wonderful community of like minded people. It is a blessing to be able to be here. Thank you Mary for creating this for us to enjoy and grow. You are beautiful and loving. Thank you for being here to teach us to walk the walk (and talk the talk) with you. You are where I am in the process of being. Thank you again! Doing the Resonating to Love exercise every morning and evening has been challenging, but it’s getting easier the more I do it. It feels like it’s dissolving many old hurts and untrue ideas about myself. What an absolutely amazing and beautiful call! I feel as though I arrived HOME….a safe, nurturing, accepting, and loving place to share and grow and to continue to FEEL LOVE, CONNECT WITHIN TO WHO I TRULY AM, and to PLAY in these energies daily!!!! Thank you, Mary, for being Beautiful YOU, and for sharing your personal journey on getting your amazing membership site up and going!! WhooHoo!! I feel so much Gratitude for you sharing that you “LIVE what you are teaching and sharing” with all of us! You are empowering each of us to live a life of love, abundance, and FLOW!!! Whoo Hoo!! What a blessing Mary and Jennifer have been, and continue to be, to me! I have had huge opportunities to grow and to be in the beautiful FLOW of life…especially the past few months. A couple of years ago, I would have called them set-backs/challenges. In this moment, I am noticing the opportunity for growth and truly embracing my humanness. Thank you Mary!! Thank you to each of you in this beautiful community…all PLAYING in “What’s right in this moment” and focusing within to who we truly are: “Divine Beautiful Beings of Love and Light”! I am very grateful for the opportunity to hang out with like-minded people and experience the FLOW. I’m so looking forward to the call tonight. A first for me. I am so grateful to Mary for creating her Full Throttle Abundance package ! After listening for only 2 days I got a boost in people wanting healing sessions AND I won 12 private coaching/healing sessions with Dee Wallace !!!!!!!!!!!!! How cool and totally amazing is that! My abundance is certainly on it’s way to be launched to the moon !!!! I am so grateful for Mary and being a part of this amazing group. Wishing everyone an amazing journey of abundance. It feels so good to be in a community of abundant friends. I am grateful for Michele who posted first – thanks Michele. I look forward to continued contact. I am grateful for Mary – yay, Mary! Thank you for all your blessings and gifts! The recordings are amazing, powerful and help me to enter the vortex of joyful abundance. All is well! I am feeling sooooo grateful & happy in this moment for this web-site and the community that is gathering here; for the awesome new creations that Mary released for the first time tonight; for Adonya Wong, the instantaneous miracle worker; for Jennifer McLean and all that she does including introducing me to Mary!